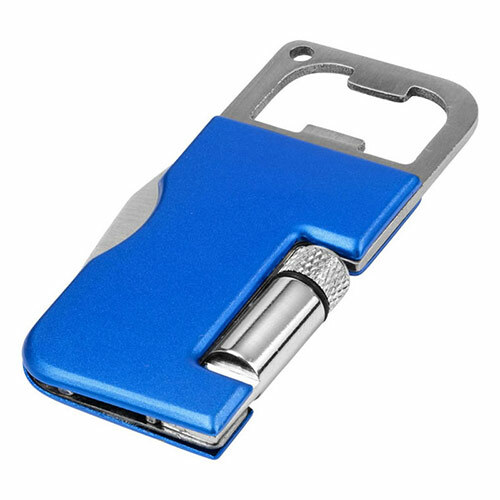 Handy 3-in-1 pocket tool in a sturdy yet lightweight aluminum case with striking royal blue finish. 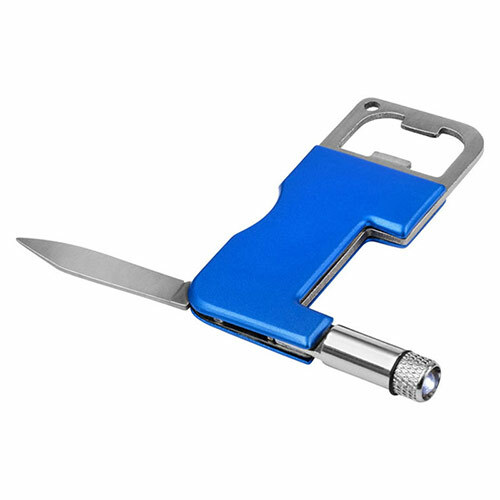 These versatile tools include a bottle opener, LED torch (battery included) and a short knife. It can be branded or personalised via laser engraving onto the blue aluminum casing.